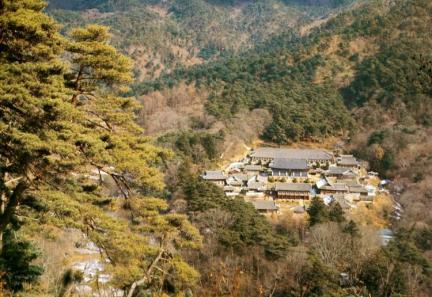 Haeinsa Temple is located on Gayasan Mountain (1,430m), said to be one of the most beautiful scenic landscapes in South Korea, with its grotesque-looking rocks, streams running with clear water, and red pine forest, the like of which are hardly to be found elsewhere. 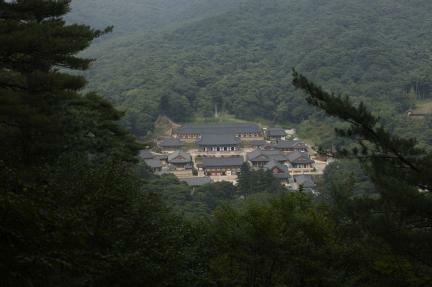 Located at the southwest foot of Gayasan Mountain, Haeinsa Temple is held to have been founded by two great Buddhist priests, Suneung and Ijeong, upon their return home from a period of study in Tang China in 802 (the 2nd year of the reign of King Aejang of Silla). 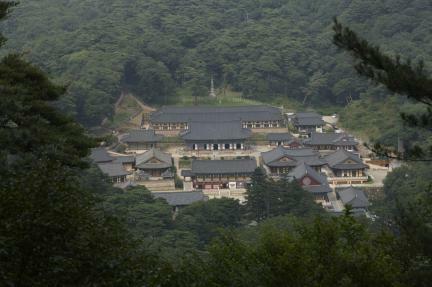 During the 200-year period between the reigns of King Sukjong and King Gojong of Joseon, fires broke out in the temple on seven occasions; as such, most of the current buildings were rebuilt in the later Joseon Dynasty. 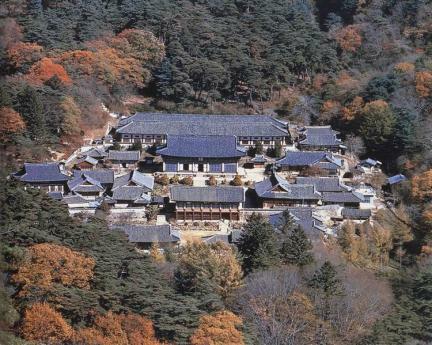 The temple houses the Tripitaka Koreana, a world-renowned collection of tripitaka (Buddhist scriptures) designated as National Treasure No.32 and registered on the UNESCO WORLD HERITAGE LIST. Carved onto roughly 80,000 wooden printing blocks as prayers for the safety of the country and the happiness of the people, the Tripitaka Koreana took fifteen years from 1236 (the 23rd year of the reign of King Gojong of Goryeo) to complete. 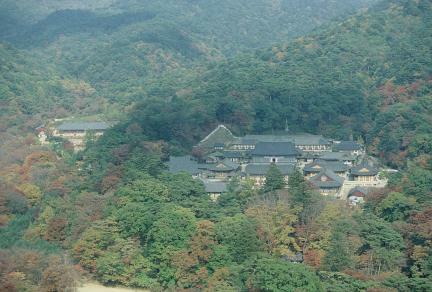 Other features of the temple include the Janggyeongpanjeon Depositories, in which the Tripitaka Koreana are kept (National Treasure No. 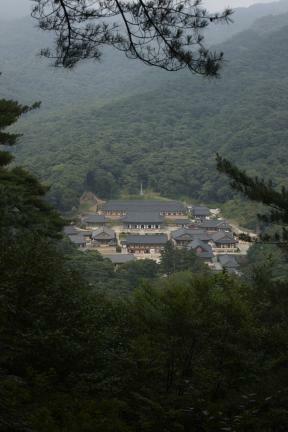 52); the Stele for Royal Preceptor Wongyeong from the Banyasa Temple Site (Treasure No. 128); a Stone Standing Buddha (Treasure No. 264); a Multi-story Stone Pagoda and Stone Lantern (Treasure No. 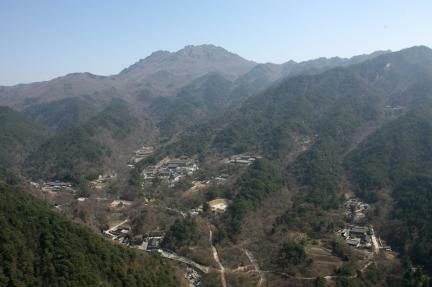 518); and the Rock-carved Standing Buddha in Chiin-ri, Hapcheon (Treasure No. 222).